Downtown Holiday Fun - Santa in the Senate, Reindeer Run & More! Downtown is in the Christmas spirit with many churches, museums, and businesses getting in on the fun! Shop at the LSUMOA Trunk Show, sign up for Forum 35&apos;s Reindeer Run, or witness the First Presbyterian Church&apos;s live nativity scene. 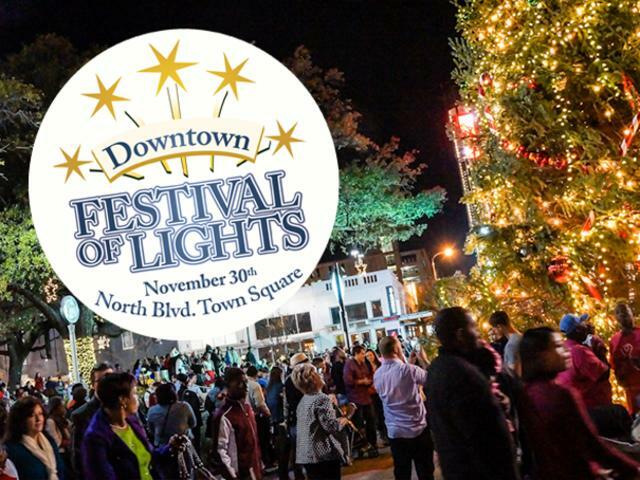 It all starts November 30th in North Boulevard Town Square for Baton Rouge&apos;s Oldest Holiday Tradition! Downtown venues will be celebrating the holiday cheer with shopping, dining, and live entertainment before, during, and after the event. Stop by the museums for a local shopping experience and visit some of downtown&apos;s biggest cultural attractions to complete your festive evening. 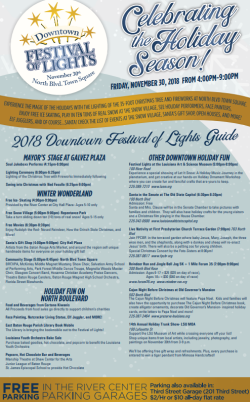 Check out the Festival of Lights activity schedule and a list of other downtown events to experience during the holidays! *FREE Parking will be available inside the River Center Garages. For over 30 years, the Downtown Development District has been passionate in its work to initiate, incubate, and support partnerships that develop and enhance Downtown Baton Rouge. 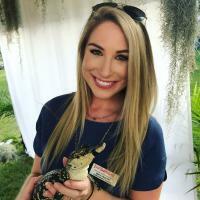 Sign up for DDD&apos;s eNewsletter. If you&apos;d like to contribute a blog post to The Redstick Blog, let us know!